With this new release, it means a lot of things but one of the meanings is that we can take advantage of Windows Server 2012 R2 and Windows 8.1. 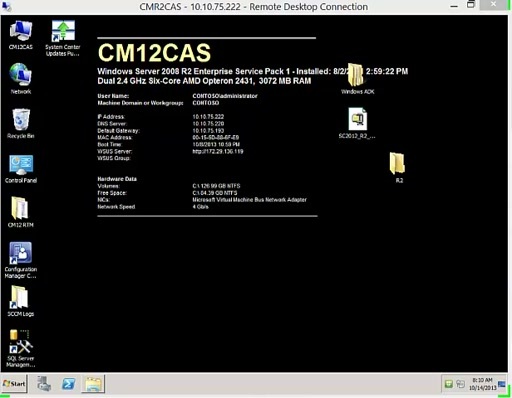 But how about if you already have System Center 2012 Configuration Manager in a Windows Server 2008 R2, what you will you do. I decided to upgrade to Windows Server 2012 R2 and also upgrade the SQL Server from 2008 R2 to 2012 SP1, I know what you are thinking “Crazy”. Indeed I agree 100%, but it’s a good practice to ensure it works and if not then I will know too. Remove SSRS Feature from SQL Server 2008 R2, for some reason I got a compatibility level issue. But wait, I just recorded my self-doing all this. Do you want to see the process? Go ahead take a look at this video, feel free to fast forward if you want. This video is more than 15 Minutes.